Hans Wolfgang Liepmann was a pioneering researcher and passionate educator in fluid mechanics. He served as the third director of Caltech's Graduate Aeronautical Laboratories (GALCIT), from 1972 to 1985. Born in Berlin in 1914, he grew up surrounded by political turmoil. His father, a well-known physician, had a passion for the humanities and an abhorrence of mathematics. By insisting that Hans have a classical education despite his interest in physics, he nearly ended his son's scientific career before it began. In 1933 the family left Berlin following the rise of the Nazi government. Liepmann joined his family in Turkey in 1934 after his father joined the faculty at the University of Istanbul. He enrolled there to study physics and mathematics. Soon after, he traveled to Switzerland and found academic success in the physics department at the University of Zürich where he was recognized immediately for his talent as an experimentalist. Liepmann came to the U.S. in 1939 after impulsively expressing an interest in "hydrodynamics" during a drinking party upon the successful conclusion of his PhD. An offer from Theodore von Kármán ensued and he took a research position in experimental fluid mechanics at GALCIT, where von Kármán was the first director. His first experiments on boundary layer instability and transition to turbulence were followed by investigations of various turbulent flows that are relevant to engineering applications—a pattern throughout his career. With the US entering WW II, he began research on problems associated with high-speed flight, including transonic flight phenomena and the interaction of shock waves with boundary layers on aerodynamic surfaces. This also marked the beginning of a longtime interaction with the Southern California aircraft industry along with two influential texts. With Allen Puckett, he wrote, "The Aerodynamics of Compressible Flow" for working wartime engineers. It was followed in 1956 by "Elements of Gasdynamics" with Anatol Roshko, which impacted generations of students. After the war, he emerged as a respected and influential contributor to the aeronautics scene and to the physics of fluid flow. By 1949 he was a full professor and had developed a vigorous program of research in his group, constantly seeking associations with applied mathematicians, visitors, and the broader Caltech faculty. This outreach resulted in the establishment of the applied mathematics option at Caltech in 1967, and, along with other Caltech faculty, the establishment of the applied physics option in 1974. 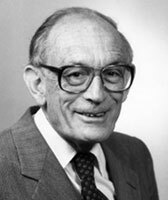 His research group was highly influential and resulted in pioneering contributions to a wide range of topics that frequently anticipated future technology, including: flow instability and transition, turbulent shear flow, transonic flow, shock wave-boundary layer interaction, turbulent skin friction at supersonic speeds, aircraft buffeting, rarefied gas flow, magnetohydrodynamics, plasma physics, fluid mechanics of liquid helium, chemistry of turbulent mixing, and flow control. Liepmann held strongly to the principle that instruction is vital, even at a research-oriented institution like Caltech. He was devoted to teaching both graduate and undergraduate courses with his characteristic enthusiasm, clarity, and effectiveness. He mentored more than 60 PhD students and hundreds of undergraduates during his career at GALCIT. His students became leaders in the aerospace industry as well as at universities around the world. In recognition of his accomplishments, Liepmann was elected a member of the National Academy of Engineering and the National Academy of Sciences. He was a recipient of the National Medal of Technology and the Ludwig Prandtl Ring—the highest honor conferred by the German Society for Aeronautics and Astronautics. In 1986, President Ronald Reagan awarded Liepmann the National Medal of Science. He died in 2009.